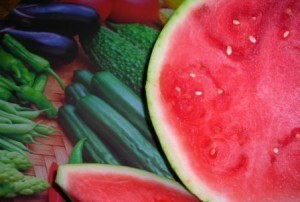 Fresh from the farm today! We will be at the market from 4-7 on Wednesday, July 4th, under the pavilion on the corner of Bank and Market streets in beautiful New Albany, Indiana. There will be several other vendors set up as well… Chef Walker’s Famous Barbecue, Family Spirits Homestead, local honey from Starlight, homemade soaps, and a few other produce vendors. Peaches are in abundance right now, we will continue to have them through the summer(if we get some rain soon). Blackberries are ready now, we will have them for several weeks. 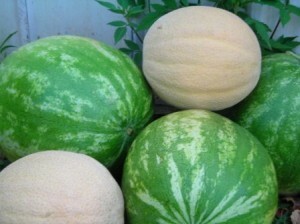 We have melons now, both watermelons and cantaloupes, they are delicious! Stop by and pick some up for your holiday gatherings. Sliced tonight for dinner, yum! For now I will be doing weekly deliveries, if warranted I will revise delivery schedule at a later date.